I highly recommend the poem, "A Cowboy's Easter", which you can find here. Also, if you find yourself with some time to spare and feel like examining evidences for the resurrection of Jesus from the dead, you can find that here. By the way, my father died 14 months ago. He was a pastor, and his birthday is on Sunday. I sincerely believe that he would see some humor in that. Have a happy and blessed Resurrection Sunday. I want to say at the outset that this article will annoy many people because it contains the most inconvenient truths. People won't have the nerve to finish reading it, I'll wager. "How much is that wager, Cowboy Bob?" How about thirty pieces of silver? Welcome to Good Friday. It's called that because that is the day Jesus was crucified for the sins of the world. That's right, I said it! There are people who are desperate to escape dealing with sin and death, so they will say some amazingly ignorant things. They are ignorant of historical records and, it seems, of the ability to think. But I have to admit, it's "good" for us, but it wasn't a good experience for Jesus. Some will say that God does not even exist, but I will not go after that foolishness. (Search this Weblog for "atheist" if you want to see how I show the errors of that concept.) Others will say that Jesus did not really exist. Wishful thinking, perhaps, but more ignorance of historical records and sensibility. Other silliness will say that a man named Jesus lived, but he certainly did not rise from the dead. I smacked that notion down here, he most certainly did rise bodily from the dead. Today, I will bring up something different: Prophecies. (No, I have no interest in the "prophecies" of Tara the Psychic on Facebook or the pretend gypsy that has a shop on South Main Street.) These came from the real prophets of the Old Testament. It was a pretty exclusive club. To show that God was speaking through you, you had to be correct every time. I should qualify one thing, though. "Prophecy" was not just foretelling the future. A prophet's job is to call people back to God. Sometimes, it involved dramatic foretelling. And some of that was in the far future. I will skim some highlights instead of hitting you with over four hundred prophecies that Jesus fulfilled. Zechariah 11:12-13 foretold that Jesus would be betrayed for thirty pieces of silver. That was fulfilled five hundred years later. Isaiah 53:7 says that he was silent before his accusers, and it was fulfilled with the rest. This prophesy (and many others in Isaiah) was made even earlier, about seven hundred years. Isaiah 53 also tells us that Jesus was horribly beaten and disfigured. Psalm 41:9 tells us that his betrayal would come from a friend. Psalm 22:16 says, "They have pierced my hands and feet". Puzzling for the Hebrews, and it finally made sense when his hands and feet were nailed to the cross in a Roman execution. He was "numbered with the transgressors" (Isaiah 53:12 and Psalm 22:16). 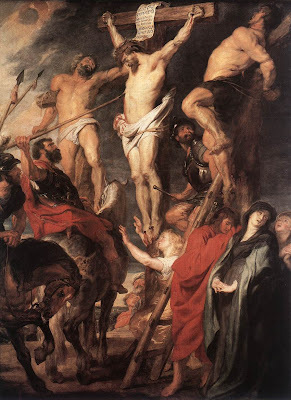 The crucifixion was a public event; we see portrayals of three crosses. Yes, he was crucified between two thieves — and there were others being executed on that hill, also. 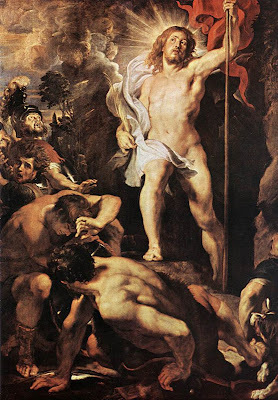 Isaiah clearly laid out why this was done, in chapter 53: "Surely he took up our infirmities and carried our sorrows, yet we considered him stricken by God, smitten by him, and afflicted. But he was pierced for our transgressions, he was crushed for our iniquities; the punishment that brought us peace was upon him, and by his wounds we are healed. We all, like sheep, have gone astray, each of us has turned to his own way; and the LORD has laid on him the iniquity of us all." This drives disbelievers up the wall. If there is a creator, then he makes the rules and we should find out what he has to say. And if there is a creator, we have all sinned, and Jesus died for us. That's hard for proud people like me to admit, but I cannot deny the truth. Fulfilled prophesy is a strong witness. You can read more here. Now you know the truth. What are you going to do with it? Trust Jesus, who died and rose again, and is seated at the right hand of the Father? That's the only real choice. "The fool says in his heart, 'There is no God'..."
Buon giorno. Today is April 1. I have been having a good time saying that today is the national holiday for atheists because God calls atheists, "Fools". But what was going to be a simple thing suddenly became more complex as I thought further. Not only is this April Fool's Day, it is also called Holy Thursday; we're in the final days before Easter. You see, a "fool" in Biblical usage is not just someone being, well, stupid. Sure, a fool says that there is no God, but it's more than that. A fool is also lacking in moral fiber. The rest of this verse reads, "... They are corrupt, their deeds are vile; there is no one who does good." Long ago, I learned from a Creationist, "If there's no Creator, you can do what you please. But if there is a Creator, he makes the rules and we'd better find out what he has to say." And I put that to the arrogant atheists (the ones that want to destroy the faith of others), they do not want to believe, so they can have an excuse for their actions. In a recent discussion while posting comments after an article, an evolutionist refused to examine any evidence for Intelligent Design. He simply wrote it off in a very unscientific manner. In fact, he steered the discussion away from the main points of the article so that he could justify atheistic evolutionism. But this is not just about atheists and the foolishness of denying the existence of God so they can justify their own immorality. Guess what, Bubbles? It's about you! And me! I'm reaching back into ancient history in my mind, a sermon that I heard. The essence of it is that, even though we believe in God, that Jesus died on the cross and rose on the third day — that's all well and good. How are we living? Believe anything you want to, but if you really believe, are you "living like the devil"? Are you living as if there is no God? Another preacher said, "Believing is an action word". Right! If you really believe something, your speech and actions are going to reflect how deeply your belief runs. Those of us who "believe in God" should not be fools ourselves, saying "There is no God" within our own hearts. Our lives should show otherwise.